The Caspian Basin region has boomed since the late 1990s due to new oil discoveries, new pipelines that have diversified countries' transport options and world oil prices that have risen from below $10 in 1998 to $70 in 2006. 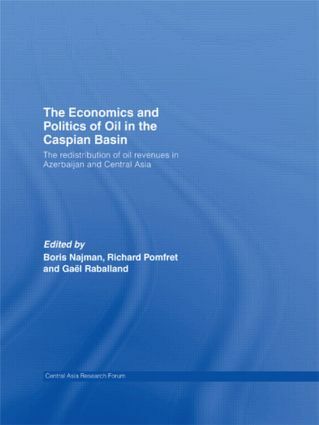 This book analyzes the experience of the Caspian countries during the oil boom. It is founded on empirical studies, using either macroeconomic tools or an analysis of public budgets, or microeconometric analysis of household survey data or fieldwork in oil-producing regions. Moving from aggregated to disaggregated analysis and, in-keeping with its emphasis on rigorous empirical analysis to the greatest extent possible, several chapters are written by specialists on the Caspian region. Whilst there is an emphasis on the economic consequences of the oil boom, the interdisciplinary aspects of the phenomenon are also recognized. Overall, the analysis is firmly rooted in the region, yet the empirical studies also provide a basis for drawing broader lessons about the effects of an oil boom. NOMINAL AND REAL EXCHANGE RATES IN KAZAKHSTAN: Any sign of Dutch disease?